Below you fill find all funeral homes and cemeteries in or near Cuba. Cuba is also known as: Crawford County / Cuba city. Zip codes in the city: 65453. Cuba is a city in Crawford County, Missouri, United States. The population was 3,356 at the 2010 census. It was noted by Bell Banner on May 18th, 2016 that Jack William Greig passed on in Cuba, Missouri. Greig was 78 years old. Send flowers to share your condolences and honor Jack William's life. It was written by The Daily Tribune on November 5th, 2015 that Elsie Mae Mueller (Ryerson) died in Royal Oak, Michigan. Ms. Mueller was 96 years old and was born in Cuba, MO. Send flowers to share your condolences and honor Elsie Mae's life. It was disclosed by The Herald on May 9th, 2015 that Leo L Melang passed on in Washington. Melang was 85 years old and was born in Cuba, MO. Send flowers to share your condolences and honor Leo L's life. It was reported by Current Local on August 28th, 2014 that David Odean Highfill passed away in Cuba, Missouri. Highfill was 78 years old. Send flowers to share your condolences and honor David Odean's life. It was noted by The Maries County Gazette on July 23rd, 2014 that Melba Fern Null (Fuller) passed on in Cuba, Missouri. Ms. Null was 94 years old. Send flowers to express your sympathy and honor Melba Fern's life. It was disclosed by Chippewa Herald on June 25th, 2014 that Catherine Ann "Cathy" Steele (Oglesby) passed away in Eau Claire, Wisconsin. Ms. Steele was 72 years old and was born in Cuba, MO. Send flowers to share your condolences and honor Catherine Ann "Cathy"'s life. It was reported by The Maries County Gazette on December 4th, 2013 that Frances Jean Myrick (Huffman) passed away in Cuba, Missouri. Ms. Myrick was 56 years old. Send flowers to express your sorrow and honor Frances Jean's life. It was noted by The Maries County Gazette on May 15th, 2013 that Marjorie Alleen Carroll (Isenberg) passed away in Cuba, Missouri. Ms. Carroll was 88 years old. Send flowers to share your condolences and honor Marjorie Alleen's life. It was reported by The Maries County Gazette on May 15th, 2013 that Marjorie Alleen Carroll (Isenberg) perished in Cuba, Missouri. Ms. Carroll was 88 years old. Send flowers to express your sympathy and honor Marjorie Alleen's life. It was reported on October 25th, 2012 that Gary Lee MacKey passed on in Cuba, Missouri. MacKey was 65 years old and was born in McCook, NE. Send flowers to express your sympathy and honor Gary Lee's life. *Wagon Wheel Motel, Cafe and Station is on the National Register of Historic Places. It was named after the island of Cuba, which at that time was in the news quite often due to the Spanish rule over its people. The population was 3,230 at the United States Census, 2000 census. *Cuba was founded in 1857 by George Jamison and Wesley Smith. 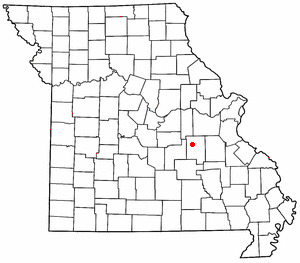 Cuba is a city in Crawford County, Missouri County, Missouri, United States. . The official website for the city of Cuba is http://www.cubamomurals.com/. How did the AK-47 become the most abundant weapon on earth? Hutson Funeral Home provides complete funeral services to the local community. Listing all funeral homes in Cuba, Missouri so you can easily send flowers to any location (same day delivery) or find any funeral service. We work with local florists and flower shops to offer same day delivery. You will find budget sympathy flowers in Cuba here. Our funeral flowers are cheap in price but not in value.